Since 1953, Sharpe Mixers has dedicated over 60 years to liquid mixing equipment. Sharpe has become industries’ go to manufacturer for agitators because of their innovative problem solving and advancement in mixing technology. With a commitment to quality in engineering, manufacturing, and service, Sharpe is sure to meet the needs of your application with a reliable, efficient mixer. Everything from the impeller design to the shaft seals have been engineered and tested to provide the most efficient and dependable mixers. Required process result, tank geometry, impeller characteristics, and mechanical design are all considered when sizing the equipment to produce ideal mixer selections. The exclusive computer program analysis combined with and Engineer’s CAD designs will guarantee that the mixer will fit perfectly with the tank and application. Sharpe mixers can be used to mix two liquids, a liquid and a solid, a gas and a liquid, or gas, liquids and solids in industries such as pharmaceuticals, mining, waste treatment, food and beverage, and many more. There are mixers for high viscosity fluids, sanitary applications, high temperatures, and other special environments. Sharpe works to meet the needs of each and every specific application to find the optimal selection to your application. Sharpe’s Portable and F-series mixers are the most popular among customers. 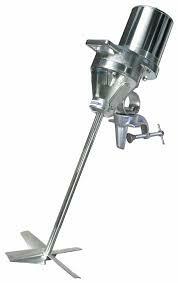 There are various models including USDA approved stainless steel, Direct Drive, Gear Drive, and Thrifty mixers. They can be clamp, plate, or flange mounted; side entry is also available. Seals available include, vapor seals, low pressure stuffing boxes, high pressure stuffing boxes, and mechanical seals. 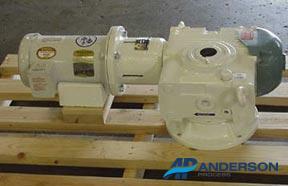 The Sharpe N-Series mixers are quiet helical gear driven pumps that operate below 85 dbA. The inline helical gear sets are available in double and triple reduction. The mixer can handle large loads because of the over-sized tapered roller bearings and a flexible coupling between the motor and the gearbox. C-face motor mounting is standard; motor scoops are available if foot-mounted motors are preferred. They are available in top and side entry designs with mountings ranging from simple open-tank plate mounts to complex mechanical seal systems. 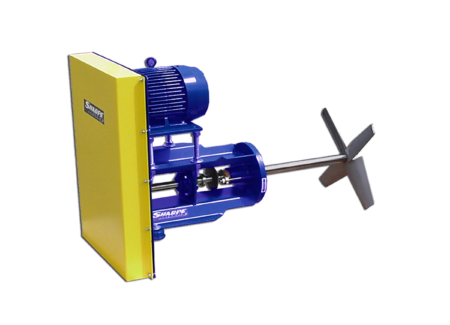 The Sharpe V-series side entry mixers are simple and easy to maintain for applications such as food and beverage, ahphalt and petroleum, chemical, pulp and paper, mining, and many more. Featuring the Sharpe V-Belt drive, durable two-part epoxy paint, steel housings, heavy duty piloted dual tapered-roller bearings, vibration free shafts, and a variety of seal options, the V-series pumps are made to last and easy to maintain. 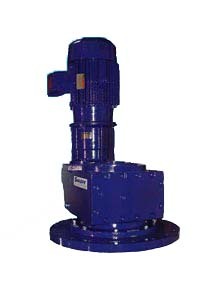 With the HYFLO 218 and many other impeller options, the V-series pumps are highly efficient. The Sharpe E-series mixers have worm gear drives that can meet low headroom requirements without sacrificing performance. The worm gear drive delivers much higher speed reduction than comparable single reduction helical gearboxes. The E series has more flow with less horsepower at lower rpm, more stable shafts then those turning faster, above the first critical speed, more effective in high viscosity batches, and longer shafts for mixing in taller tanks.